With The Wolseley and Zédel to their name, Chris Corbin and Jeremy King are the kings of all-day dining, but the pair still have big ambitions. While you may not have heard of Chris Corbin and Jeremy King, you almost certainly have dined at one of their restaurants. 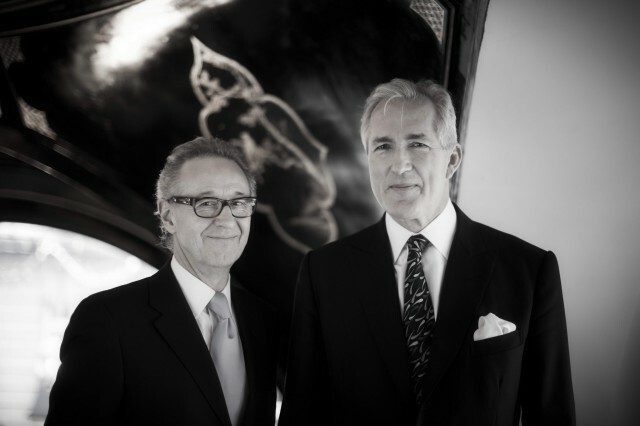 The dynamic duo go way back, having first joined forces in 1981 to buy Le Caprice in St James’s. Prior to that, Corbin was manager of Langan’s Brasserie in Mayfair and the 6’4’’ King was maître d’ at American restaurant Joe Allen in Covent Garden, having first dipped his toe in the worlds of wine and investment banking. The pair’s acquisition of Le Caprice, which they decorated with black and white photographs by David Bailey, helped propel the restaurant to fame, turning it into a star-studded hangout frequented by the likes of Harold Pinter and Jeffrey Archer. The pair have the patience of saints — for every restaurant they open, they eye up around 100 potential sites. It took them six years to seal the deal on The Ivy, which they snapped up in 1990, hanging works by Howard Hodgkin and Peter Blake on the walls and imbuing it with an all-important sprinkling of stardust that led the restaurant to be the Chiltern Firehouse of the ‘90s: packed to the rafters with celebrities, from models to rock royalty, and nigh on impossible to score a table at unless you had the maître d’ on speed dial. Having netted fashionable fish restaurant J Sheekey in 1997, a year later Corbin and King sold their burgeoning restaurant empire, Caprice Holdings, which is now owned by billionaire businessman Richard Caring, to Belgo Limited. With dreams of opening a boutique hotel, their grand plan took a detour in 2003 when they opened what could be described as London’s first successful Grand Café – The Wolseley – in a Grade II listed vintage car showroom- turned-bank on Piccadilly. Designed by architect William Curtis Green in 1921, who also put his hand to The Dorchester, Corbin and King kept many of the original features, including the black and cream geometric marble floors, Baroque ironwork and Doric and Corinthian columns. 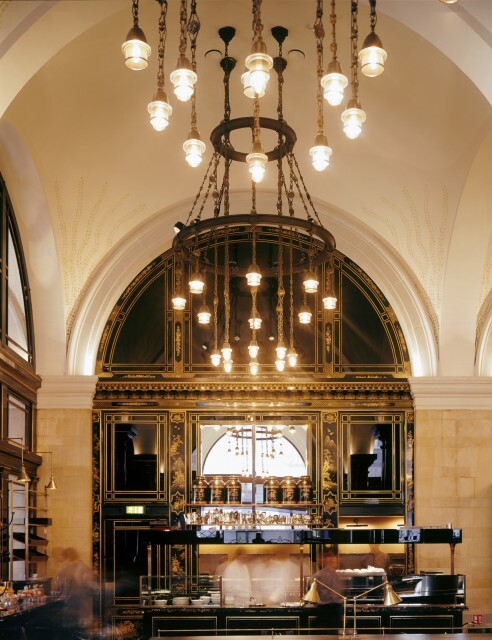 Inspired by the grand cafés of Paris, Vienna and Budapest, the Wolseley’s all- day dining approach broke the mould and it soon became a favourite haunt of London’s intelligentsia. PRs would woo journalists over Champagne breakfasts, while food critic A.A.
Gill became so fond of the eggs benedict that he wrote a book – Breakfast at The Wolseley – in their honour. Artist Lucien Freud was such a regular he was given his own table. The day he died (20 July 2011) management paid its respects by covering his table with a black cloth and a solitary candle. The highest grossing restaurant in Corbin and King’s five-strong mini empire, the 140-seater venue is able to cater to a hungry diner’s every whim, serving breakfast, snacks, lunch, afternoon tea, dinner and lashings of cake. “The best restaurants aren’t the ones with the snotty maître d’. The best restaurants are proprietor-led,” King told The Independent in 2012.